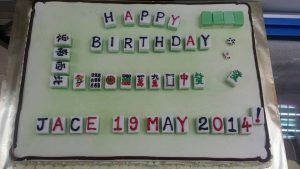 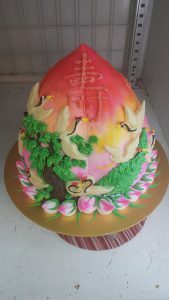 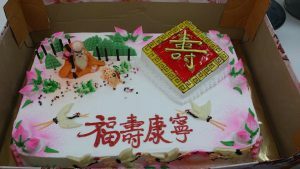 I am so inspired after viewing the Australian Confectionery’s Facebook page where they feature the most beautiful custom made Chinese theme cakes that I have ever seen. 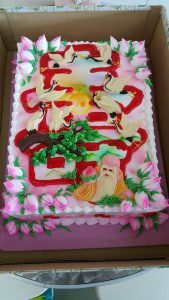 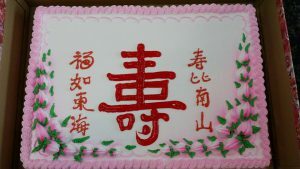 These cakes could be custom ordered and would look great during celebration of an older person’s birthday party where all the family members, grandchildren and great grandchildren gather. 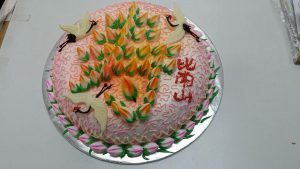 Some have the God of Longevity, heavenly creatures and the Shao Tou (寿桃- heaven longevity fruit). 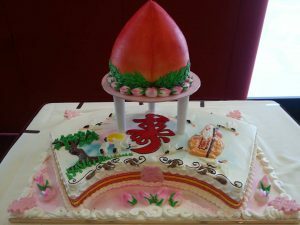 The cakes are really so beautiful and the design so detailed.